Isaac’s Bar Mitzvah highlighted service projects aligned with The Honeycomb Project’s mission of fighting homelessness, as Chicago statistics were alarming to the family. Last year, 125,000 Chicagoans were homeless. An estimated 18,000 homeless youth were enrolled in Chicago Public School in 2016. 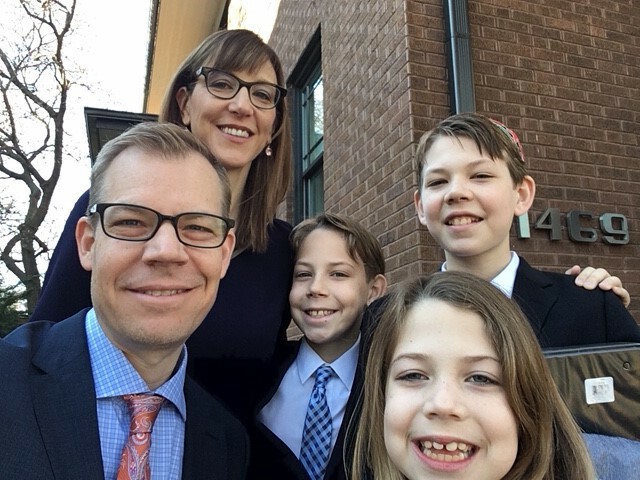 Knowing the party was going to be centered around helping youth who were homeless in the city, the Weinstein Bacon Family rallied their family and friends for Isaac’s Bar Mitzvah on April 8th. Outside of supporting Honeycomb, the Weinstein Bacon Family keeps busy. Rebecca is a trial lawyer and Wade is an architect. The family lives in Ravenswood and loves anything Cubs! They enjoy spending time playing baseball together and with their dog, Ness….along with hosting family dinner parties with friends. It’s a busy household…Isaac loves classic rock and Greek mythology, Aaron enjoys Legos and Harry Potter and Noa loves fantasy baseball and all things from the 80′s!